The Philippines' leading budget airline, Cebu Pacific, works hand-in-hand with the Manila International Airport Authority (MIAA) to exempt Overseas Filipino Workers (OFWs) from paying the International Passenger Service Charge (IPSC), or the Terminal Fee, at the Ninoy Aquino International Airport (NAIA). 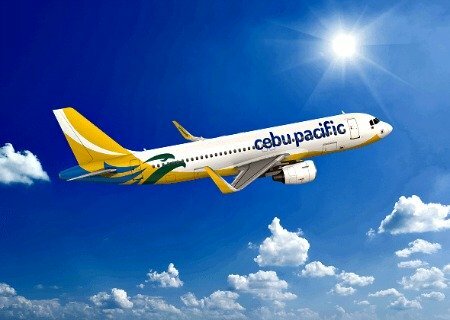 Starting April 27, OFWs flying with Cebu Pacific to their job site do not need to pay for the P550.00 NAIA Terminal Fee. Passengers who booked through CEB's ticketing offices or travel agencies have to present valid documents at the time of purchase. For bookings made through the Cebu Pacific Reservation Hotlines or via the website, www.cebupacificair.com, valid documents must be presented at the Airport Bag Drop Counter upon check-in. Valid OFW documents include the Overseas Employment Certificate (OEC); and those included under the Philippine Overseas Employment Administration's Balik Manggagawa program such as a valid employment contract, recent payslip, or Company ID. Bookings made through the Cebu Pacific mobile app and GetGo (points) redemption will allow exemptions soon. "After months of working with the MIAA on the details, Cebu Pacific is very proud to be the first carrier to make available such a benefit for our OFWs. We are pleased to offer our kababayans working abroad the convenience of not having to go through a process of reimbursement for fees they are already exempted from under the Migrants Workers Act," said Atty. JR Mantaring, CEB Vice President for Corporate Affairs. Aside from OFWs, pilgrims with authorization from the Philippine Sports Commission, and guests who have been issued a MIAA exemption certificate (MEC) are also exempted from paying the IPSC, provided valid documents are presented. Recently, Cebu Pacific passengers have been given the option to pay for the Travel on international flights of PHP1,620.00, plus a handling fee of PHP80.00 when they book their flights online via www.cebupacificair.com, or through any Cebu Pacific ticket office. Passengers who are exempt from the tax, or are eligible for reduced Travel Tax, on the other hand, can still book, pay and confirm their flights on Cebu Pacific, but they need to present valid tax exemption documents upon check-in. CEB currently offers flights to a total of 37 domestic and 29 international destinations, operating an extensive network across Asia, Australia, the Middle East, and USA. Its 59-strong fleet is comprised of four Airbus A319, 36 Airbus A320, seven Airbus A330, eight ATR 72-500, and four ATR 72-600 aircraft. Between 2017 and 2021, CEB expects delivery of one more brand-new Airbus A330, 32 Airbus A321neo, and 12 ATR 72-600 aircraft. For bookings and inquiries, guests can visit www.cebupacificair.com or call the reservation hotlines (+632) 7020-888 or (+6332)230-8888. The latest seat sales can be found on CEB's official Twitter (@CebuPacificAir) and Facebook (www.facebook.com/cebupacificair) pages.